Nothing is more important to us at Wenaas than protecting people at work. 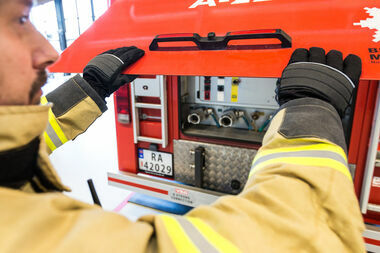 force in Norway uses our trail-blazing PBI/Gore Airlock concept. We supply everything a fire-fighter needs in the way of clothing – to ensure that he/she can enjoy a safe and comfortable working day. Our specially designed workwear provides peerless protection against heat penetration and is naturally made of flame-retardant material. In addition, we supply practical and comfortable clothing for the time fire-fighters spend at work when they are not fighting fires. Our specially designed workwear provides peerless protection against heat penetration and is naturally made of flame-retardant material. 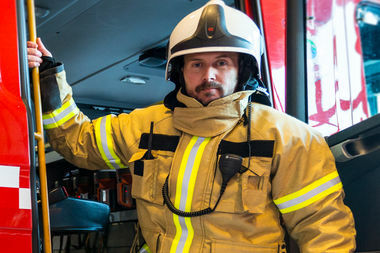 Working closely with the Norwegian Fire Service, Wenaas has developed a new smoke diver suit featuring a modular, detachable pocket system, which can be adapted to match the fire-fighter’s needs for communication equipment, for instance. The new suit features five times greater anti-tear resistance than previous versions and is therefore much more durable. The new smoke diver suit also provides protection for the vulnerable area of the throat thanks to a specially designed neck closure system. Find out more about the W112 Smoke diver suit, PBI Max. Our fire-fighter gloves feature a cuff that prevents hazardous substances penetrating the skin, provide a high level of protection against cuts, and feature fire-proof silicone coating on the palm section. Find out more about the Fire-fighter glove, Tex Grip 2.0. Our fire-fighter boots feature an optimal lacing system with a fast locking mechanism, breathable material and protection against chemical agents. 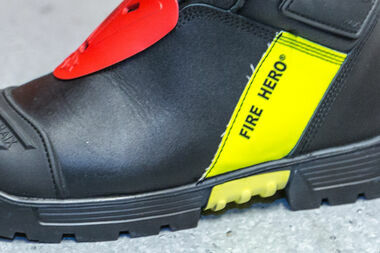 Find out more about the Fire-fighter boot, Haix Fire Hero 2. 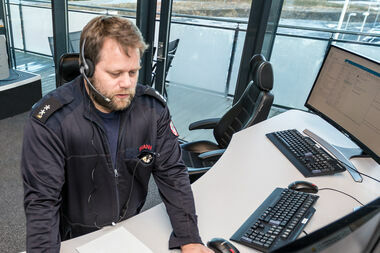 Our station clothing consists of a perfect combination of trousers, jacket and an intermediate layer – comfortable and practical in everyday work situations, at times when there are no fires to fight. Find out more about station clothing.